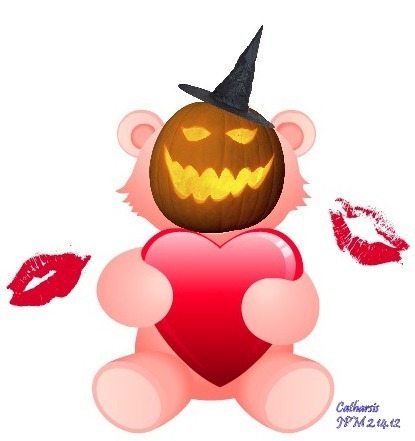 Valentine’s Day and Halloween are the same! As you may remember from a 2010 post, I admitted that I have never been a fan of Valentine’s Day (VDay). So really my likening this day to Halloween should not be a surprise at all. If you don’t have a sense of humor and think of Valentine’s Day as sacred, then this post is not for you. 3 As I had spoken about in #1, both holidays are days for costumes. People dress up and often times dress up in a way they normally wouldn’t. I mean this both literally and figuratively; that on both holidays, some people find themselves as somebody else, acting in ways they normally don’t. Lovers are encouraged (or forced) to put on their ‘romantic hats’. Literally speaking, people also find themselves dressed up more nicely to go out on fancy dates on Vday. Some women also succumb to their inner angels…that is, Victoria’s Secret angels, wearing lingerie their rational minds normally perceive as utterly nonsensical and ridiculously uncomfortable. Certainly, one other similarity is how much Hallmark and other businesses profit from both holidays but that’s true for other holidays as well, so there’s really no point in highlighting that. Now it’s confession part. What is the most out-of-this world, or at least out-of-character thing you’ve ever done OR was done to you in the name of Valentine’s Day? I’m not being elusive here when I say I don’t have anything to disclose at this time. If you know me, you would completely understand. I simply did not have a love life colorful enough to create bizarre Vday anecdotes. What about you? Do you have any remarkable Vday stories to share?